Having lived in Melbourne 20 years, Stephanie thinks she's an Australian because she knows lots of Aussie lingo, but she's actually a born and bred Californian. A dinky di valley girl, she grew up in 80s Los Angeles, but these days you'll never catch her with crimped hair or shoulder pads. Find her hanging off bars or deadlifting, when she's not managing Armature, teaching Strength & Stability classes, being a mom or writing dance reviews for the Herald Sun. Since 2010 she's been an instructor trainer, first with STOTT Pilates and now with Breathe Education and frequently presents Pilates masterclasses on a national level. 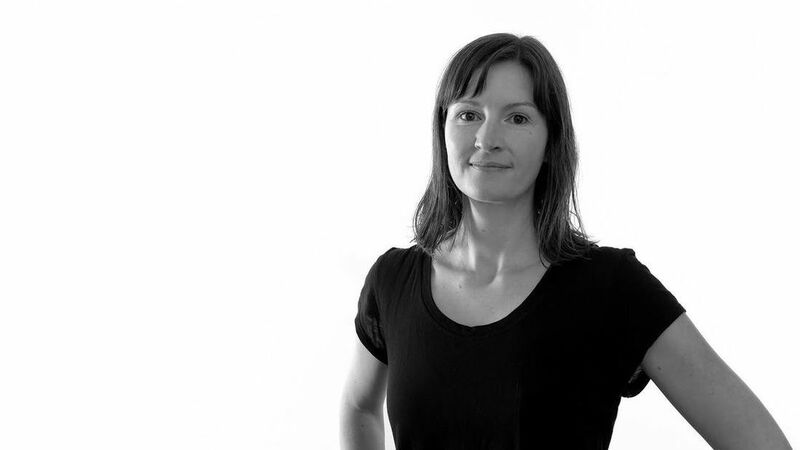 Having been in the Pilates industry nearly 20 years, Miriam has spent thousands of hours face to face with clients. She also works across instructor training, training program development/delivery and thousands of face to face hours with clients. Miriam’s expertise as a teacher is in flowing and connecting exercises in a way that not only allows client development, but education and fun. Her ability to understand how each exercise transposes from equipment to mat and all the adaptations in between has been the back bone to her career and what she attributes to her success in delivering Pilates and barre education for Stott Pilates, Breathe Education, Barre Body and the Australian Fitness Network. ​She’s currently in the process of developing her next delivery of inspiration for Australia’s Pilates teachers. Prior to moving to Australia, Arnel lived in the Philippines and taught classical Pilates in his own studio. He was also a member of the National Dance Council which presided over international ballroom competitions including the first Dancesport event in the 2005 Southeast Asian games. The majority of his Pilates clients were dancers and Arnel found Pilates to be an effective tool for dancers and athletes for both rehabilitation and conditioning. 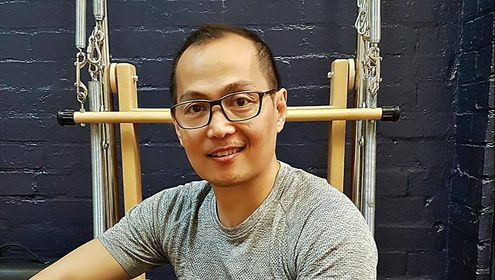 Since moving to Melbourne in 2007, Arnel has taught Pilates across gyms and studios including South Pacific Health Clubs, Virgin Active, Melbourne Sports and Aquatic Centre and Simply Pilates. He formally trained in Classical Pilates through Peak Pilates and has recently also certified through Breathe Education. Aside from Pilates, Arnel keeps himself fit by practicing the Art of Jiu-Jitsu, boxing, Animal Flow® and yoga. In his spare time he watches movies, feeds his coffee addiction and catches up with friends. Originally from Germany, Claudia Buehrer is the founder of Create Movement Pilates. An active cyclist, dancer and snowboarder, Claudia found Pilates in 2007 to rehabilitate a back injury. She holds a Diploma of Contemporary Pilates and Teaching Methodology from Art of Motion Australia and a Diploma in Slings Myofascial Training®. 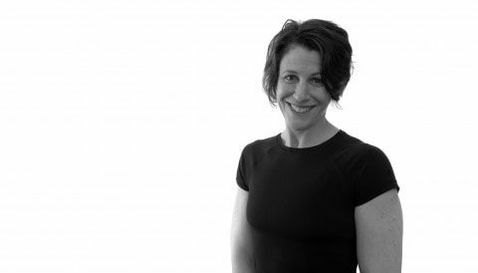 She has taught Pilates in osteopathic and physiotherapy studios in Perth and Melbourne and is involved with the instructor training program for Slings Myo-fascial Training®. Tahlia was introduced to Pilates after sustaining a back injury while working as a professional dancer. 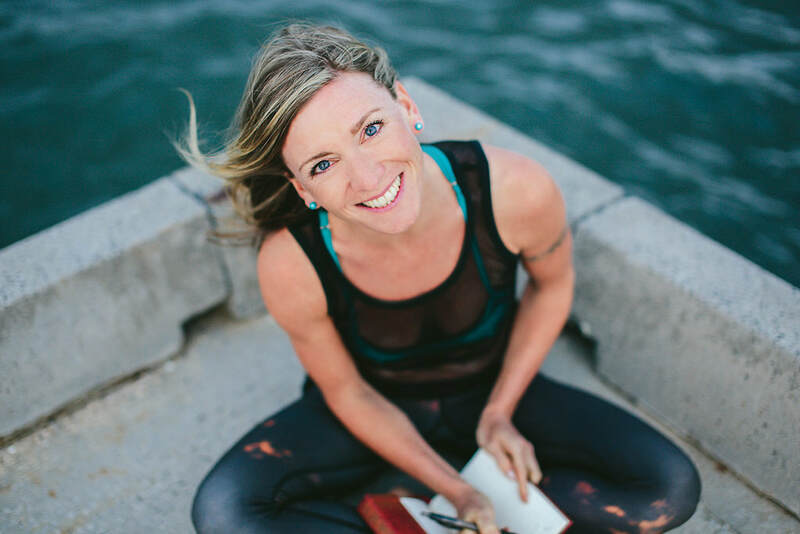 She certified through STOTT Pilates in 2012 (and has recently also certified through Breathe Education) and has been instructing in Melbourne ever since. Tahlia teaches across large group fitness classes and 1:1 sessions, always making sure individual needs are met. She manages the Pilates program at One Hot Yoga (South Yarra) and instructs clinical sessions at Ki studio in South Melbourne. ​With a background in dance, Sophie Jeffries started her Pilates training in Bristol, England with the Pilates Foundation UK. She later studied the Advanced Diploma with Pilates ITC. She has been teaching Pilates since 2005 with a special interest in both group mat classes and pre-natal demographics. She instructs the pre-natal and Mums & Bubs programs at Armature as well as working across all clinical settings. She has a keen interest in shoulder and hip mechanics which she applies across the full range of her clientele. Finding the joy of Pilates in her late twenties, Cat knew she wanted to share its magic with others. Her teaching (around 4000 classes to date) focuses solely on group reformer. Empowering people to practice movement with ease and joy is her teaching philosophy and life purpose. She has taught at studios all around Melbourne, catering to a broad range of clients and styles. Cat certified through Breathe Education in 2014 and 2016 and is currently in a mentorship program to become a BE teacher trainer. 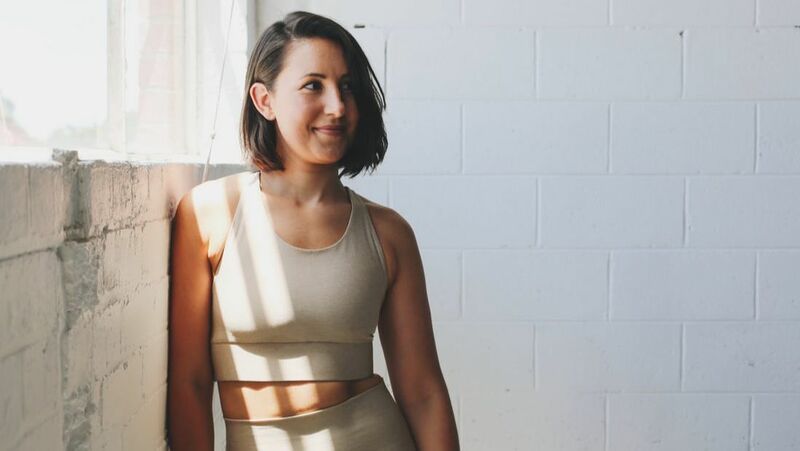 Along with other BE Teacher Trainers Cloe Bunter and Alice Scott, Cat was recently interviewed for the Pilates Unfiltered Podcast hosted by Jenna Zaffino. Wanting to share her inclusive and fun teaching style with the world, in April Cat opened her own studio, Good Times Pilates, in Fitzroy. Rachael is originally from London, England where she trained professionally as a contemporary dancer at LABAN as well as gaining an MA in Dance Performance. She then went on to pursue a career in Pilates which lead her to discover her love for all things Barre! Rachael was one of the original Xtend Barre instructors in the UK and since moving to Melbourne in 2012 has created her own Barre methods and training courses for KX Barre (Melbourne) and WeBarre (Singapore). She currently teaches reformer Pilates and Barre for KX Pilates as well as delivering instructor training courses and workshops in Melbourne and Singapore.